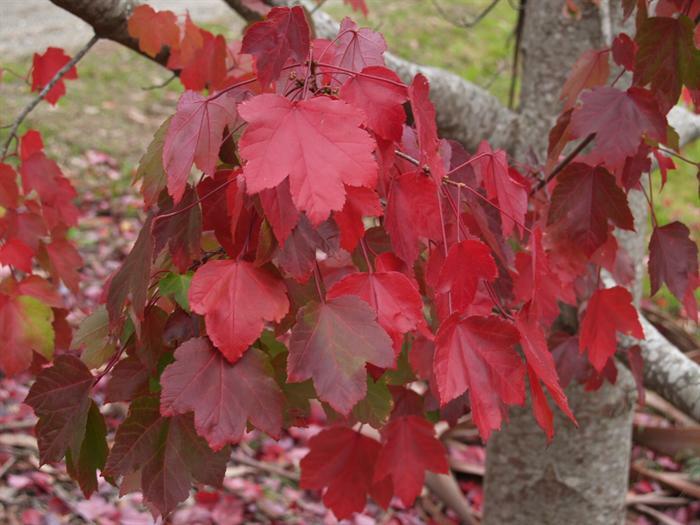 Not only are deciduous trees beautiful, but they play an important role in providing summer shade and winter sun. Deciduous Trees are widely planted in both hemispheres. They are very important for both amenity horticulture and forestry. This course is a great foundation study for new or experienced horticulturists, landscapers, arborists, nursery workers, gardeners, parks managers; or anyone else concerned with the selection, propagation, care, maintenance or harvesting of deciduous trees. There is such a range of uses for these beautiful additions to a garden, and this detailed course provides specialist knowledge. The course will provide specialised information on these trees; which arms you with a great resource, either for your own garden, or others’ gardens. 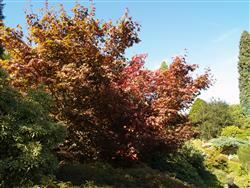 Develop knowledge in classification, identification and culture of plants, from the genus Acer. Develop knowledge in classification, identification and culture of plants, from the genus Fraxinus. Develop knowledge in classification, identification and culture of plants, from the genus Quercus. Develop knowledge in classification, identification and culture of plants, from the genus Prunus. Review a range of other significant deciduous tree genera not covered previously in this course. Plan the establishment of a collection of different cultivars of deciduous trees suited to growing in a specified locality. WHAT MAKES FOLIAGE CHANGE COLOUR IN AUTUMN? Deciduous plants shed their leaves in autumn or early winter, and are fully or partially devoid of foliage over the colder months of the year. This is an adaptation that allows the plant to better survive unfavourable conditions (such as extreme cold). Prior to leaves dropping they undergo a period of senescence. Senescence is the period during which leaf cells progressively die. Over the senescence period, tissue at the leaf base progressively dies, until finally a complete section of tissue between the leaf and the stem is dead (At this point there is nothing left to hold the leaf to the stem; so it detaches and drops to the ground). As senescence occurs, the amount of chlorophyll in the leaf (which gives it the normal green colour) reduces. Chlorophyll is actually only one of many pigments that generally occur in leaves; but it is usually the strongest pigment, and for that reason alone, most leaves usually appear green if the plant is healthy. Generally Carotenoids also decompose rapidly in Autumn, but Anthrocyanins break down much more slowly. Often Anthrocyanins can still be at close to 100% normal levels when only 40% of normal chlorophyll and carotenoids remain. Anthrocyanins are produced through chemical processes, from excess sugars in the leaves, particularly in the presence of bright light. In view of this fact; the level of anthrocyanins will be stronger if the plant has been actively photosynthesising (producing sugars) over summer, combined with lots of bright autumn days (if weather is frequently overcast and dull in late summer and autumn; the production of anthrocyanins is decreased). Lower temperatures in autumn reduce the movement of sugar around the leaf, so if the weather changes from warm to cool fast, the leaf sugar remains high and anthrocyanins build up; otherwise the levels of these pigments might not be so high. High levels of anthrocyanins will generally result in more vivid autumn foliage colours.